If you like going on holiday but dislike leaving your four-legged friend behind, worry no more! Holiday cottages, guesthouses, farms, hotels and narrow boat holidays are increasingly targeting UK pet owners. As a rule, although it depends on the animal, it is often better not to take cats away; they are territorial and prefer to stay home with someone to look after them. 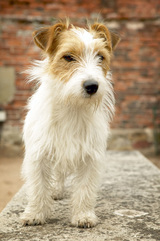 The nation’s eight million pooches have become seasoned travellers according to a survey by MedicAnimal.com. The poll of 1000 pet owners found that nine in 10 people holidayed in the UK with their pet last year and one in eight took their four legged friend abroad with them. Andrew Bucher, vet and co-founder of MedicAnimal.com says, “Since the introduction of the Pet Passport Scheme, travelling abroad with your dog has become simpler. To travel in the EU, dogs need their own passport to show rabies vaccinations are up to date and that it has been micro-chipped.” ‘A Guide to Good Petiquette for the Travelling Dog’ is available free online at www.MedicAnimal.com. 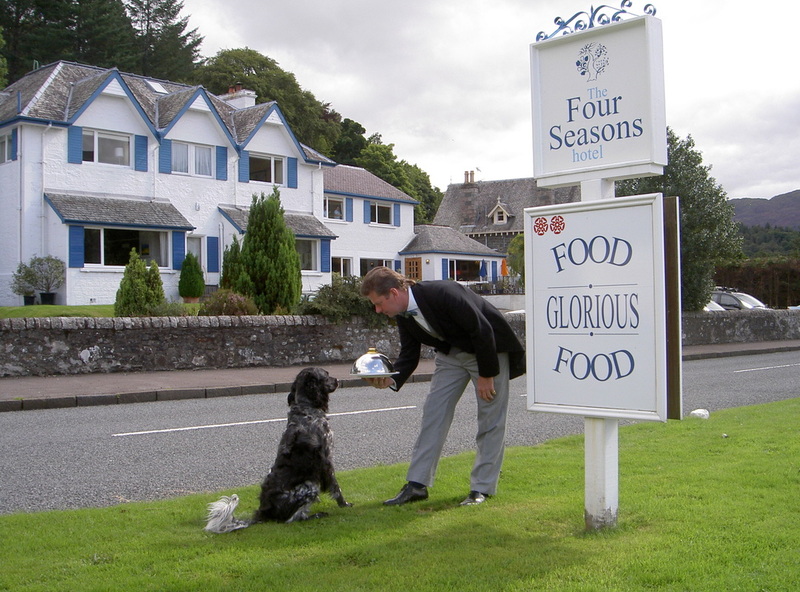 The Four Seasons Hotel in Perthshire (above photo) has a resident Pet Butler to cater to your four-legged companion's every woof including special menus, fun treats, grooming and pet sitting. The hotel also supplies bedding and bowls where required. The butler will do the early morning walk for you if you wish and with hills, walking trails and exciting places to explore, your four-legged friend will have a blast. Cats, rabbits and other creatures are also welcome. Travelling without your pet? The hotel’s resident canine may let you take him walkies depending on his humour and availability. By the way, any Beatles fans might be interested to know that the boys stayed here during their Scottish tour in 1964. ​With lots of walks close to Titchwell Manor in North Norfolk guests often like to bring their four-legged friends. Not only dogs, but cats and budgies have stayed too. Visiting dogs are given towels, blankets, drinking bowls and biscuits to make them relaxed and comfortable, while their owners get a map marked with the best short walks from the hotel. 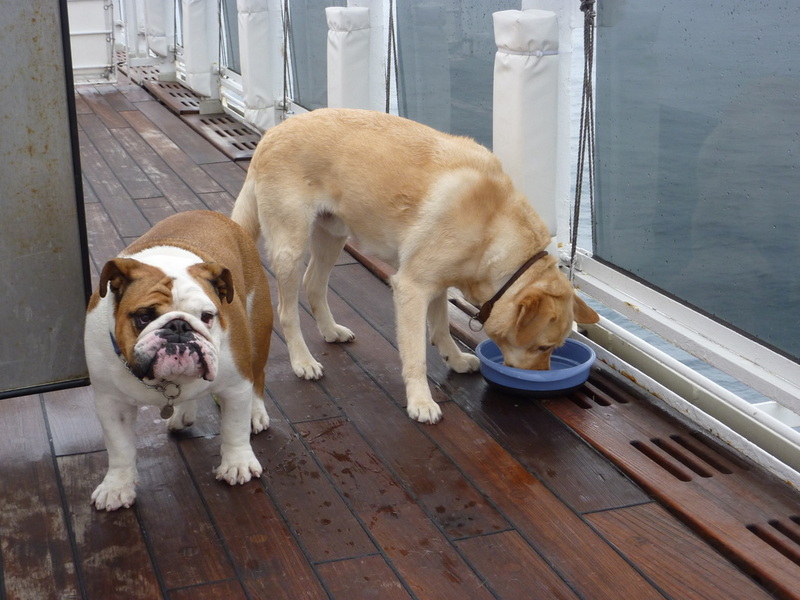 Well-behaved dogs are welcome in five designated, ground floor rooms and there is also a kennel in the paddock.